Technology, innovation, international trends and the latest and most efficient solutions for agro-livestock: these are the highlights of the new edition of Cremona International Livestock Exhibitions taking place from October 24th to 27th October at Cremona Exhibition Centre. 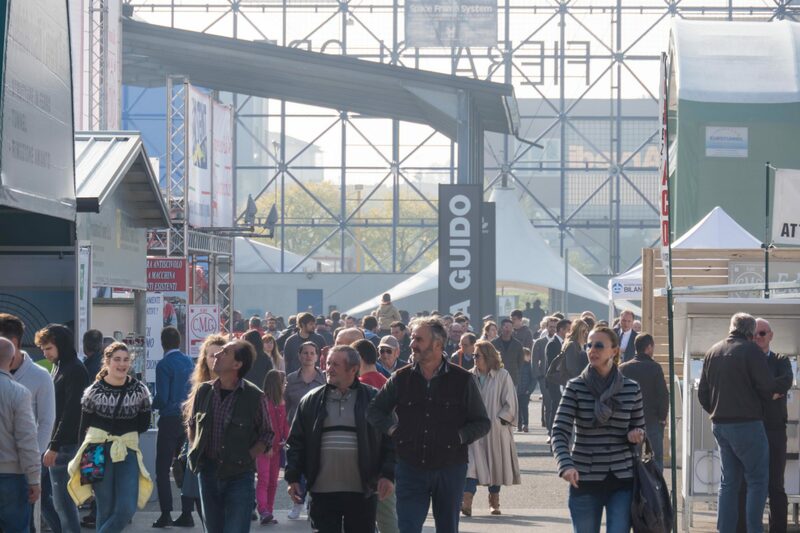 This is the only international livestock Exhibition in Italy and one of the most influential worldwide that will feature over 130 scientific events, such as presentations, meetings, workshops, demonstrations and in-depth analysis together with over 800 international brands on display. AGRINNOVATION SUMMIT. 2018 edition will welcome the Agrinnovation Summit, a new event format dedicated to innovation and technology for the agro-livestock sector. Some of the most interesting start-up of the sector will be on board. The Agrinnovation Summit has been conceived to offer effective solutions to improve production processes, product development and the cost-benefit ratio. To this extent, Agrinnovation Summit will offer an extensive overview on technology in agro-livestock. Agrinnovation Summit is organized by CremonaFiere in cooperation with some of the most important research centres worldwide such as Wageningen University and Research, Smart AgriFood Observatory of the Polytechnic University of Milan and University of Brescia, CREA Research Centre for livestock farming and aquaculture, CRPA – Research Centre on Animal Productions and AITA – Italian Food Technology Association. Agrinnovation and the future of agrifood production chains: new perspectives for a high- quality production: this is the title of a seminar taking place on October 25th at 10 am, with Martin Scholten, General Director of the Wageningen UR Animal Sciences Group, Karina Pierce, Associate Professor of Dairy Production – School of Agriculture and Food Science University College Dublin, Andrea Galli (CREA) and Adelfo Magnavacchi (CRPA). 73rd International Dairy Cattle Show. With a leading role both in Italy and in Europe, the historical Exhibition features the best international brands for dairy and agricultural equipment and hosts every year the Italian Holstein Competition with over 400 heads of cattle from the best Italian breeding farms. 8th EXPOCASEARIA. The Exhibition focuses on dairy processing equipment and on production systems and marketing tools for milk and dairy products (cheese, yogurt, ice-cream). 6 th INTERNATIONAL POULTRY FORUM. Reference appointment and interesting opportunity for discussion that involves the major international experts of the poultry sector, with a special focus on technological innovations, veterinary issues and the latest market trends. 8 th BIOENERGY. The only Italian Exhibition for renewable energies from agricultural sources that takes place in the area with the highest number of biogas plants (about 150) and within the only Italian specialized livestock Exhibition. WATEC ITALY 2018. At its third edition, Watec Italy will take place in Cremona for the first time with a special focus on water treatment (irrigation, filtration, ultrafiltration, waste water management). The exhibition is organized in cooperation with Kenes Exhibitions Ltd. The strategic approach pursued by CremonaFiere wanted 2018 edition to be expanded so to include Watec Italy as well. MILK.IT, THE MILK WORLD. CremonaFiere is the reference point for milk professionals, from production to processing: Milk.it, highlight of Cremona International Livestock Exhibitions 2018, will be particularly dedicated to animal health, dairy production, innovation, Made in Italy, quality, education and training. Milk.it is organized by AITA – Italian Food Technology Assotiation and CremonaFiere. STATES GENERAL OF SWINE HUSBANDRY. The Italpig Forum will hos on October 25th at 10 am an appointment especially dedicated to the Italian pig breeding sector. The States General of Swine Husbandry are an important meeting for all the protagonists of the sector: breeders, feedstuff producers, dealers and consumers to take stock of the market situation and to develop strategies useful to challenge foreign competition. SPECIAL THEMATIC AREAS. Many events will take place within Special Thematic Areas (Milk Village, Bio Village, Techno Village, Bioenergy Village, Area Forum). Here, in particular, there will be short workshops and seminars also organized by Exhibitors. FOCUS ON CETA. More and more focused on internaitonal markets, Cremona International Livestock Exhibitions will dedicate a special appointment to the Comprehensive Economic and Trade Agreement between Canada and Europe. It will take place on October 26th at 9.45 am in Stradivari Conference Room, moderated by Sebastiano Barisoni, executive director of Radio24 Il Sole 24 Ore and tv presenter of “Focus Economia”. LIVESTOCK COMPETITIONS. The Livestock Competitions (67th National Holstein Breed Show – 8th National Jersey Breed Show) will complete the exhibit repertorie made of top genetic brands and key research institutions.